I’m a bit of a new kid on the Hebden Bridge block having lived here for just one year. 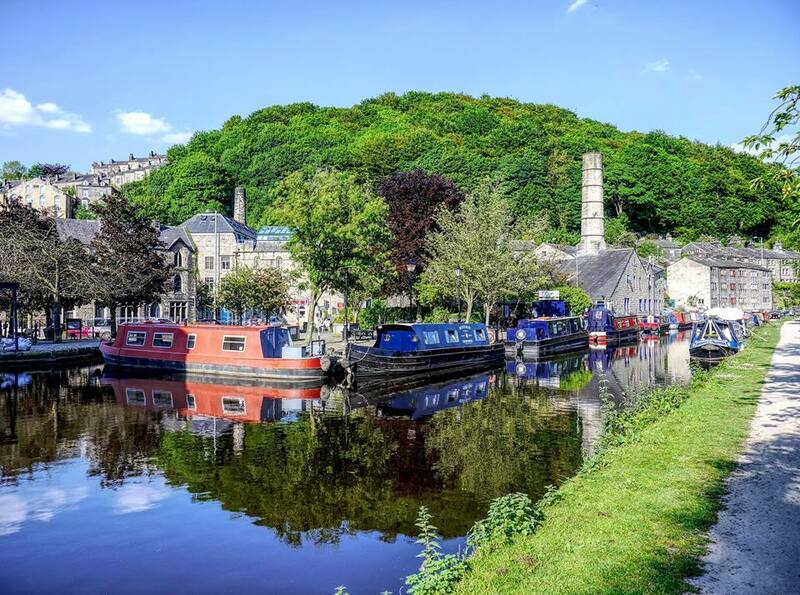 For those who glance at this market town, it could be said that Hebden Bridge teeters on cliché having had the hippy revolution and then the LGBT revolution (we’re known as the lesbian capital of the UK, don’t you know?). This makes it a mishmash of people, thrown together into a small community, and yet something magical is undeniably here. The town is dissected by a beautiful stretch of canal which is worth having a walk along if the weather is playing fair. Aim towards Todmorden, it has more interesting stuff on that stretch and is good gentle exercise before you tackle the rest of the town. There’s everything you could want in Hebden Bridge. So, here are my reasons for calling this place home. Named as one of The Guardian’s top 10 riverside pubs, you can’t get more picturesque than The Stubbing Wharf. 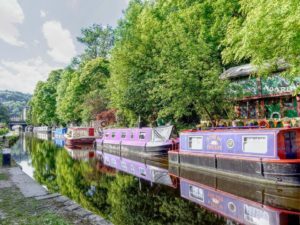 It’s a short walk outside of the town centre and, if you come in the summer, do take the canal path. The little pub with narrow boats and benches outside is beautiful and it would be rude not to have at least one pint while watching the water traffic mosey on by. If you are here in the winter, fear not, for the Stubbings will have a roaring fire on and the food is superb. I seem to have worked my way through the menu while I’ve lived here and haven’t experienced a bad meal yet. 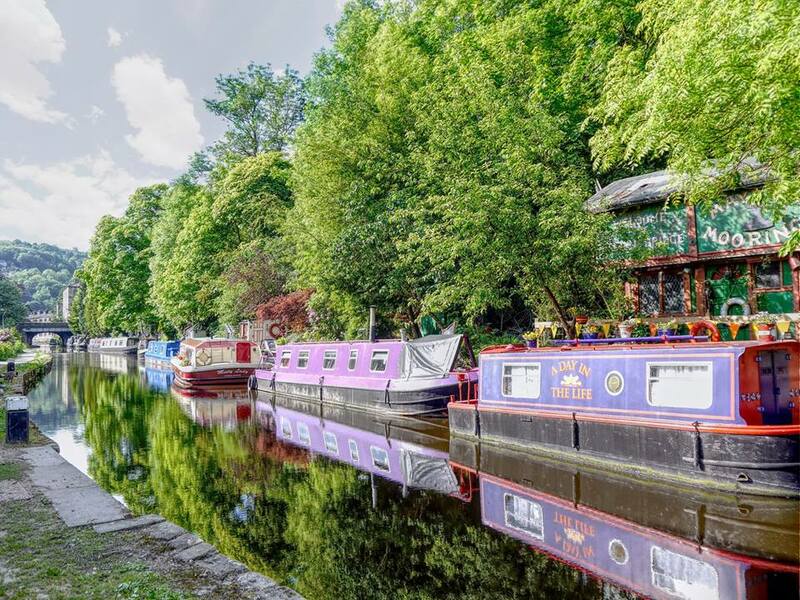 They even have a Sunday lunch canal cruise if you fancy getting out on the open water. Hardcastle Crags have always been a hotspot for people visiting Hebden Bridge – at its peak over Whit Bank Holiday in 1897 it welcomed more than 20,000 visitors. You might not find that many people clambering about these days, but you can pick a decent walk from the free map and it’s all handily colour-coded. So, if like me you have nightmares with maps, you can’t go wrong. 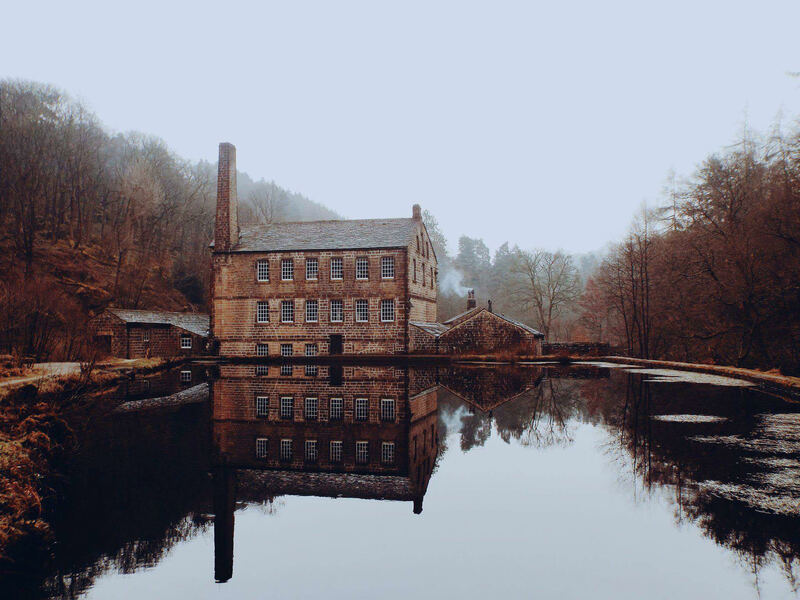 Even better, Gibson Mill stands in the centre and inside is a café, so you can have cake. Hebden is blessed with tons of cafés and tea rooms but, for me, Café Solo is head and shoulders above the others – although I shall continue my research as any good writer should. Situated at the start of Market Street, Café Solo is a snug, vibrant little café with soft seating at the front, as well as regular tables at the back. It is the go-to place to initiate emergency hangover protocol with amazing bacon sandwiches which they serve with salad, so you feel like you’re being slightly healthy. Perfect. Halfway up Heptonstall Road (it’s a steep hill so be warned) there is an amazing view down into the valley which takes in the whole of Hebden Bridge. If you stand here for long enough, you can almost imagine the sleepy town as a hive of activity when all the mills were running. 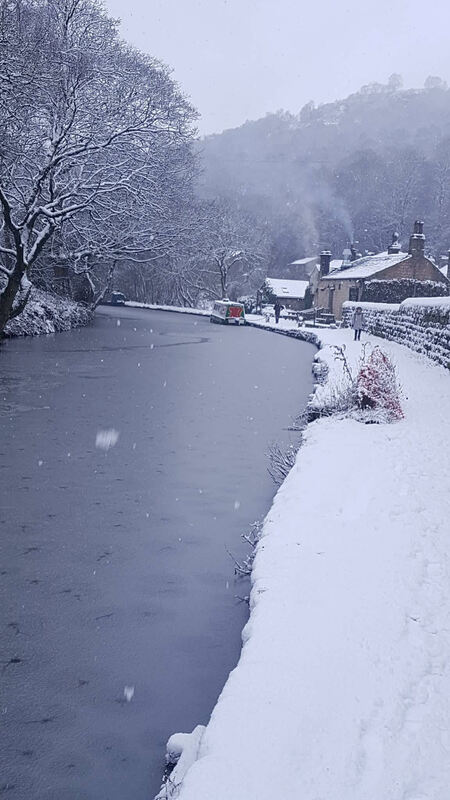 If you’re heading up Heptonstall Road, you might as well carry on to the small village of Heptonstall; it really is worth it. It might be built on a mega steep hill, but the cobbled streets and original buildings are an absolute treat. It’s worth visiting the churchyard for the ruins of the original church, as well as for the grave of poet Sylvia Plath who was married to local lad, Ted Hughes, before her untimely demise. OK, this is a bit of a cheat as there is only one cinema, but it’s so lovely I had to fit it in somewhere. The Hebden Bridge Picture House is an original 1920s art deco dream that has been lovingly restored and is now run by a dedicated band of locals. Not only do they get the latest releases, there’s a whole host of events from special screenings with director Q&As alongside showings of the classics. 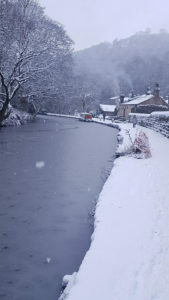 Hebden Bridge is the town of the festival. During the summer months there seems to be one every week – technology, burlesque, arts, jazz and pumpkin to name but a few – but Happy Valley Pride is my choice (disclaimer: I’m biased because I am a volunteer). 2018 marks the third year of the festival. While the calendar of events has not been released, do bear in mind that, in the past two years, the organisers have attracted names such as Peter Tatchell, Zoe Lyons, Bourgeois & Maurice and David Hoyle. I reckon you can guarantee there’ll be some great events to keep an eye out for this year. After the floods of 2015, the businesses on Market Street and throughout the town lay in tatters as hardy owners began to reclaim their pride and joy back from Mother Nature. The Bookcase, a joyously independent bookshop, had more than just local backing. Many high profile authors donated items to an eBay auction to save the shop including Jon Ronson and Ian Rankin. Not only did they save the shop – it is literally impossible to leave without a purchase – but the shop fortified itself in a unique way. The metal sign above the shop can be brought down to cover the bottom half of the windows, thus strengthening it from any more flooding. Have a look on YouTube, it’s impressive. In the 1930s, Japan was the leading light in…erm…chicken sexing, able to tell the gender of chickens quicker than anywhere else in the world. This resulted in Koichi Andoh coming all the way to Hebden Bridge in 1935 to teach his ways to the local community. 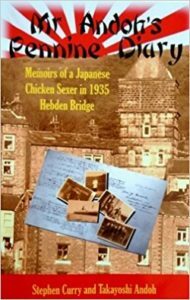 There is a book of his diaries – an absolute fascinating read – about how he coped with the cultural differences and fitting in with a Yorkshire community. Did you ever think you’d buy the Memoirs of a Japanese Chicken Sexer? No, me neither. This is my go-to place for total relaxation. I have been to most of the spas in Manchester and they are hugely enjoyable – if a little sterile. The Banyan Tree is small (there are only two treatment rooms) but it is perfectly formed. The staff here are wonderful and friendly, and I have always leave feeling totally chilled out. In fact, I always book the last appointment in the day because, after they’ve finished with you, you’re a prisoner on your own sofa. They say people make the place. Nowhere is this truer than in Hebden. 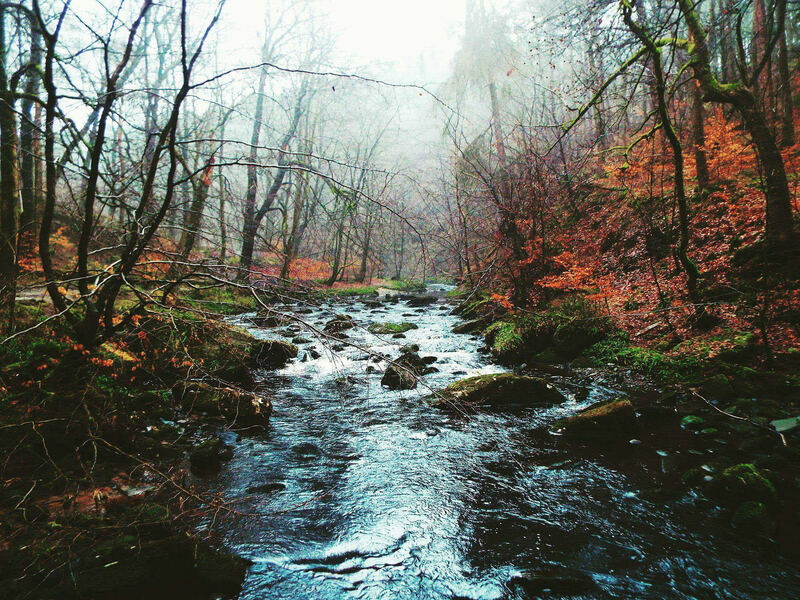 This is a magical place, nestled in the beautiful Calder Valley, a short drive to the moors that Heathcliff and Cathy frequented, and replete with more hostelries and cafes than you can shake a stick at. But the people, the people. I guarantee that, if you come to Hebden, you’ll end up chatting to at least one person whether that individual is a busker, a shopkeeper, or just sitting next to you on a bench.